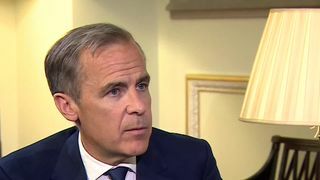 Mark Carney has claimed the Brexit vote has left households ?900 worse off annually, describing the sum as "a lot of money." 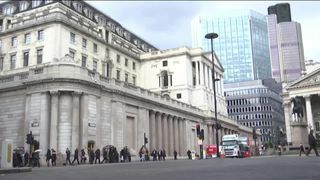 The governor of the Bank of England made his remarks while giving evidence of a committee of MPs, stating his belief that the effects of the EU referendum in June 2016 had lowered the UK's GDP by 2%.Mr Carney has previously spoken of the damage inflicted on the economy by the referendum result, which saw prices surge on the back of a plunge in the value of the pound and business investment slow amid uncertainty on the path ahead.The central bank chief, who was criticised by Brexiteers ahead of the vote when he claimed there was a possibility of recession if Leave won, argued the current UK slowdown was in stark contrast to its main competitors.In the session with members of the treasury select committee, the governor was also forced to defend the Bank's decision not to raise interest rates this month as it had previously guided it could. Committee chair, Nicky Morgan MP, asked if the hint of a "somewhat earlier-than-expected" rate hike was "rather confusing" for households and businesses.The Bank's monetary policy committee (MPC) vote of 7-2 was driven, in his case Mr Carney said, by the economy failing to meet forecasts in the first quarter of the year.He explained: "We give guidance. The guidance is conditional on the economic outlook. "Inflation came in lower, economic momentum - a number signs - were lower, and then ultimately the hard data came in lower as well and we as a committee sat back, looked back at that data and took our own assessments." Market forecasts currently see a 40% chance of a rate rise at August's meeting.Mr Carney told the committee he did not believe the economy was as weak as the 0.1% estimate of first quarter growth suggested and the country should still expect to see a "gentle" rise in interest rates over the coming years.The ONS is due to give updated figures for the January-March period on Friday.Remain supporters seized on the governor's Brexit figures.Leader of the Liberal Democrats, Vince Cable, said: "At the time of the Brexit vote the fact that the economy didn't immediately collapse was argued as proof that leaving the EU was painless. "We now know that it wasn't painless, to the extent that households are already €900 a year worse off, and Brexit has not even happened as yet. "Inflation caused by a weak pound and stuttering economic growth are cutting into people's everyday lives. But we can stop this, because Brexit is not inevitable - people must be allowed a say on the final deal."